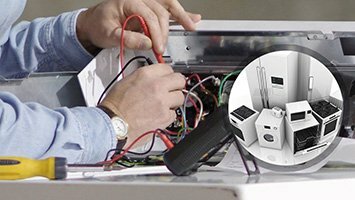 You can waste your time scanning the internet in an attempt to find a reliable appliance repair in Fair Lawn, NJ or you can call Appliance Repair Fair Lawn straight away and save yourself a lot of trouble. Our team of friendly appliance service technicians has worked diligently to earn the respect and trust of our local residential community. Chances are your friends and neighbors have utilized our reputable service in the past and will be thrilled to give us a positive recommendation. Every technician on our crew has received factory training that qualifies them to provide extremely effective home appliance repair. Our skills have been honed over years of on the job experience and our knowledgeable staff is prepared to answer any questions you might have about the services we offer. We take customer service seriously at Fair Lawn Appliance Repair. As a company we are only as effective as the services we provide. 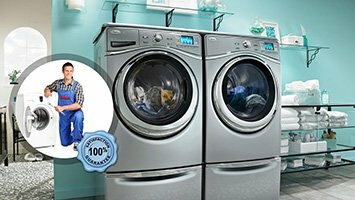 Our multi-talented experts excel at laundry room and kitchen appliance repair options. We offer everything from freezer repair to microwave repair in the kitchen area. 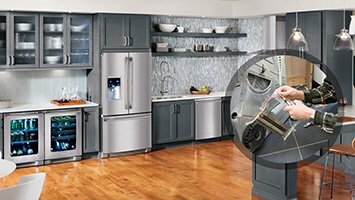 Our specialists will fix refrigerators and ovens too. There is not an appliance in this beloved room in the home that we will not service efficiently. However, our outstanding service does not stop here. We will address any issues you experience with your washers and dryers too. Our technicians are factory trained on all makes and models of home appliances. One of the great things about Appliance Repair Fair Lawn is that you can pick up the phone and call us whenever you need the help. Our goal is to respond as quickly as possible to provide the installation, maintenance or appliance repair in Fair Lawn, NJ that you need. Do the right thing and call our friendly technicians for the trusted service you deserve.